I've had much time lately to think, slicing and dicing the economy, watching the latest movement of this financial index or that, trying to find the meaning within the meaning of words uttered by too many CNBC liars who utter words which purposefully have no meaning--which hence become so meaningful. The news, when not so blatantly manipulated, comes across as drab and dreary as the dusty shuffle of soldiers in defeat. We try to find our economic heroes--our doctors of digits and decimals who can rearrange the numbers and orchestrate a cure, stamp out the sickness with spitting needles that pierce a body too sick to move after a binge of greed and over-consumption--but there seems to be a glut of experts, all prescribing pills of different sizes, shapes and colors. I have to escape it all sometimes. 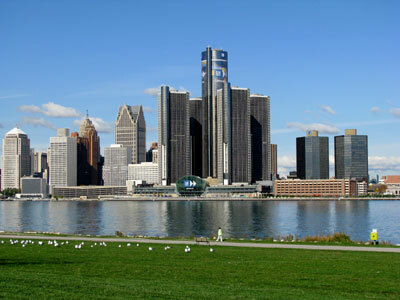 Recently, I took a walk with some new friends along the Detroit River, on Riverside. Horses and apples. Marble and metal. Plants that can spell. It was fun, and kind of sad, too: We're getting older, we understand what's happening around us. We paused at the rail, looking across the river at Detroit, it's shining cityscape hiding the rot that eats it from inside. An old man was there, not part of our crowd. No one paid much attention to him. He sat alone on a bench, muttering quietly to himself, watching the river as it flowed serenely toward Lake Erie. His clothes were dark and heavy, ripped and soiled. He looked to be in his mid-sixties, with a lined and weathered face the color of old wood just before it turns grey. Evening approached, and a comfortable lull had settled over our group. The old man was still there. Slowly, so as not to startle him, I walked to the bench and joined him. From where I sat three feet away his odor was strong, as if his armpit held the mystery of a mollusk dying on the sand. Under his breath, I could hear his words. They were spoken in a low and gentle voice, almost melodious. "Water sparkle, don't you know. I know the water. Everyday day it speak and shine. Jimmy know. Birds fly, and fishes crawl under the shine...June, December, all the same to the fishes." He fell silent, working his jaw as if chewing something. "Is your name Jimmy?" I asked. He seemed not to hear me. "People smile and cry like sun and rain," he said. "Damn angels don't care for Jimmy. Clouds fall and they all cry for Jimmy. I know. Jimmy know." He turned and looked at me. I noticed his eyes. They were an almost feline blue, really that startling. Unreal. But he wasn't looking at me. He was looking way beyond me, at a universe with a population of one. "Bird flap, then steal the fishes. Like little clocks." He turned his gaze back to the river. I slowly rose and rejoined my friends. I'm sure that Jimmy wasn't scared. Not anymore. Not like the people in Detroit. Not like me. Detroit is where my sister lives. Professor at a Michigan University. Absolutely clueless. I've tried. The tenure teat is too strong. Obama will cure all which ails. So it goes. My wife and I may be closer to making a move in the PM arena. Take care, and God bless you and yours. Bob Chapman Sees $2,000 Gold in Six Months! 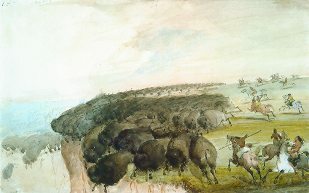 It is said that native Indians would trigger a stampede and herd the American Buffalo towards a cliff to their ultimate doom. This is what happens when you "follow the herd." Many in North American financial circles advise clients NOT to hold savings in CASH, because inflation will eat away at it. They say you're better off putting your money in a "balanced and diversified" portfolio for the long term? Are these advisers not admitting that the government issued currency is not a good "store of value?" Are they not admitting that inflation is always present? Are they not admitting that they have NO confidence in the government to manage its finances? If your "balanced and diversified" portfolio is denominated in the currency of the realm, then you will ultimately perish aswell, because no matter what the "NOMINAL" performance of the stock market is-- it's always a function of a currency losing "REAL" value. This is the illusion folks, because once a currency loses its function as a "store of value," it will also fail as a stable medium of exchange. As the currency shrinks in value, the cost of living explodes! Why? Because when the government has the power to create and issue money with no restrictions, inflation is never ending. To store REAL value, you want something that cannot easily be duplicated or created. Something that requires hard work, innovation and time to develop and distribute. Gold fits perfectly into this category and history is filled with evidence of this. Is it any wonder why Gold has returned over 300% in the past ten years, while government debt has sky-rocketed out of control? ZURICH (MarketWatch) — The Swiss Parliament is expected later this year to discuss the creation of a gold franc — a parallel currency to the official Swiss franc, with the fringe initiative likely triggering a broader debate about the role of the precious metal in the Alpine nation.